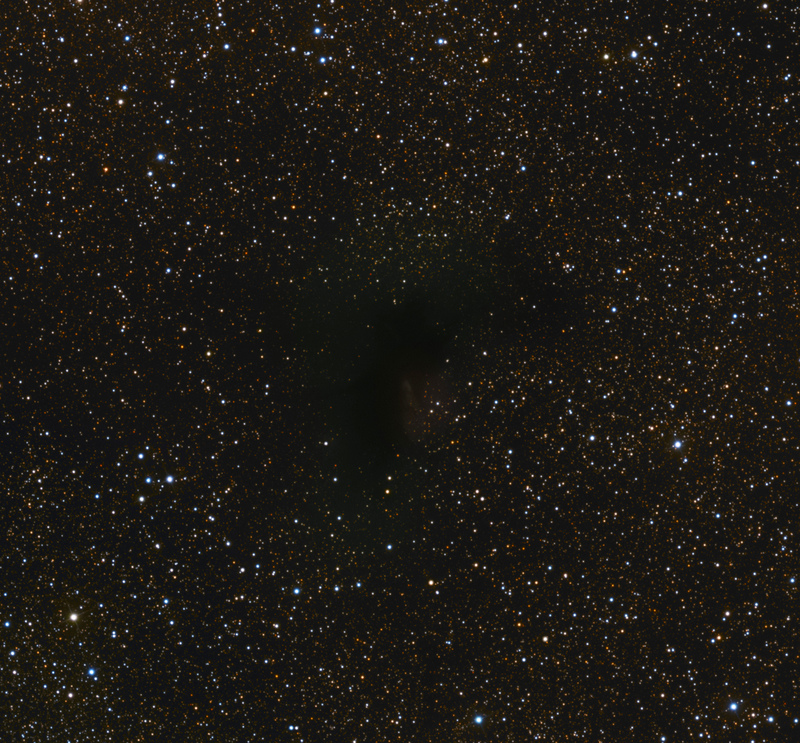 BHR 71 is a small, dark cloud in the southern constellation of Musca about 600 light years distant. It has been studied with the Spitzer space telescope at infrared wavelengths, which penetrate the dense dust to see underlying stars that are mostly hidden at visible wavelengths. The following composite image clearly shows this. The “jet” shown below from the VLT image is also present in my image above. 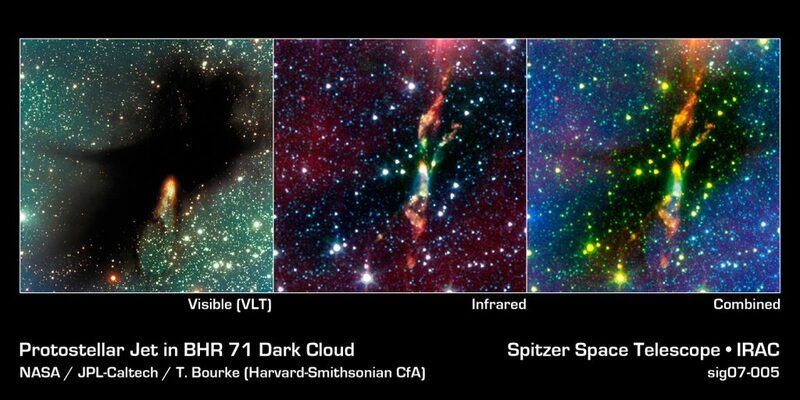 Please read about BHR 71 from Caltech at http://www.spitzer.caltech.edu/news/872-feature07-04-Spitzer-Spies-Jet-Setting-Stars. An interesting target coupled to a masterful processing. Congratulations! It shows that amateur astrophotography is already quite advanced and can complement (help) the professional astronomers. Please, keep on showing us unusual objects!